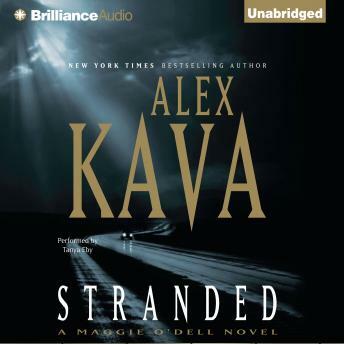 New York Times bestselling author Alex Kava returns with another action-packed thriller featuring Special Agent Maggie O’Dell, who is on the hunt for a madman terrorizing the nation’s highways. Tired travelers and exhausted truckers have stopped at rest areas on the nation’s highways for decades to refuel, grab a bite, and maybe get some shut-eye, but one man’s rest stop is another’s hunting ground. For years the defenseless, the weary, and the stranded have disappeared along interstates and tollways, vanishing without a trace. But these seemingly unconnected incidents are no coincidence, and a serial killer stalks the roads. When FBI Special Agent Maggie O’Dell and her partner, Tully, discover the remains of a young woman, the one clue left behind is a map — an invitation of sorts for Maggie to play a game: a game of cat and mouse between killer and investigators that will take Maggie and Tully on a frantic hunt crisscrossing the country to halt the truck-stop killer before he strikes again. With the body count rising, Maggie and her partner race against the clock to unmask the monster before it’s too late. As they piece together the clues, following the killer’s trail from D.C. to the heart of the Midwest and finally to the isolated forests of the Florida Panhandle, it becomes eerily clear that this killer may have had Maggie in his sights all along. Intense and harrowing, this white-knuckle ride of a thriller introduces a lethal foe for Maggie and is Alex Kava’s most compelling novel yet.